There is a saying, "Guitar players are a dime a dozen". But only a few have a certain quality that stands out among the rest. 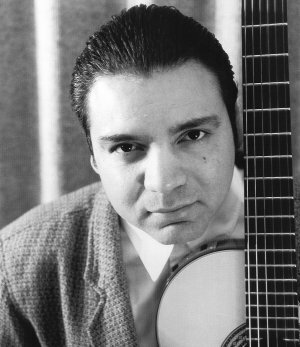 Michael Angel's ability to play the guitar has continued to bring many listeners to enjoy his style and creativity. Having been in the Bay Area music scene since 1980, Michael has performed with many jazz, pop, R & B and contemporary gospel artists. Among those artists, Michael has performed with Mojazz Saxophonist Jay Spencer, countless times with Stellar Award winner Yolanda Adams, gospel Grammy vocalist Lynette Hawkins and recording artist Karen Klark, to name a few. You can hear his smooth guitar work on Windham Hill recording artists The Braxton Brothers latest CD "Now and Forever". Michael's versatility of styles has opened up other avenues in the pop and contemporary field performing with Latin jazz percussionist Pete Escovedo and Shiela E., rock guitarist George Santana and the late Motown artist Mary Wells. From pop to jazz to contemporary, his range of styles can be compared to that of guitarists Larry Carlton, Lee Ritenour, Earl Klugh, George Benson and B.B. King. Michael will be working on his first solo recording project titled "Just in Time". With years of performing and recording experience, Michael believes that an important key to a successful music career is having a good and positive attitude towards his musical colleagues. Michael strives to be the "versatile guitarist" that many producers demand. His playing will definitely continue to bring a promising future in the music industry.